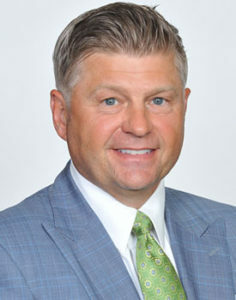 Wayne Klenke is a founding member of AXIUS Financial and is an experienced financial advisor. As a Wealth Advisor, Wayne is a personal CFO to individuals and business owners, helping them to grow and protect their wealth. With nearly 30 years experience in the industry, Wayne delivers top-level service to his clients and strived to create long-lasting relationships with each clients, based on trust, respect and understanding. Wayne graduated from the University of Missouri-St. Louis with a bachelor’s degree in Finance and Marketing, as well as a Minor in Math. He continued his education to become a financial advisor and currently holds FINRA Series 7, 63 and 65 licenses. Wayne is constantly looking to improve his skills, and is currently working toward his CERTIFIED FINANCIAL PLANNER™ certification to provide an enhanced knowledge base to his clients. Not only is it important to Wayne to help his clients achieve their goals, but to also help the community. Wayne is actively involved with Urban K-Life, a Christian outreach program for urban teens. Wayne lives in Clayton with his wife, Michelle, and their two cocker spaniels, Louie and Cole. When not in the office, you can find Wayne out on the golf course, playing basketball or fishing. He also loves to travel with his wife and has a passion for cars.